The Starwood Preferred Guest® Credit Card from American Express and Starwood Preferred Guest® Business Credit Card from American Express have new welcome offers. With the AMEX Starwood personal card, you can earn 75,000 Marriott points after meeting minimum spending requirements. And the AMEX Starwood business card is offering a 100,000 Marriott point intro bonus after meeting spending requirements. Because the Starwood – Marriott merger will be official August 18, 2018, the points you earn with these cards are Marriott points. 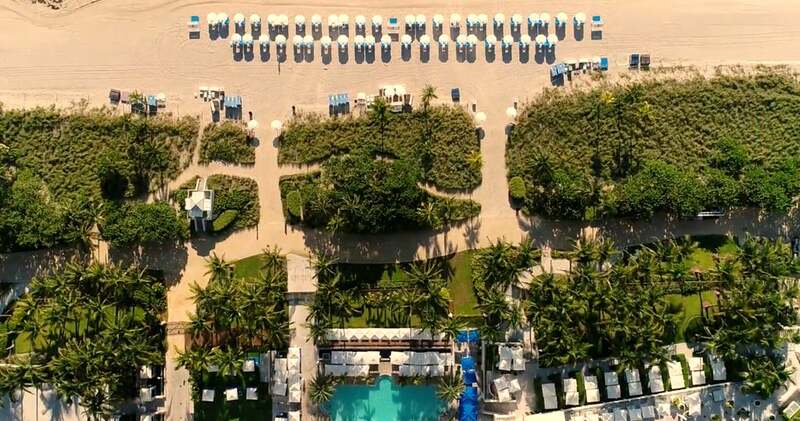 Head to Miami Beach for a Tropical Getaway and Save When You Use Your Points for a Free Night at the St. Regis Bal Harbour Resort! The personal AMEX Starwood card is now offering a 75,000-point welcome bonus after spending $3,000 in purchases within the first 3 months of account opening. Because of the impending Marriott – Starwood merger, earning 75,000 Marriott points is like earning 25,000 Starwood points. 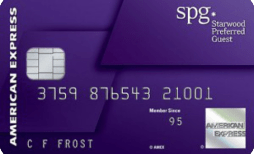 Which has been a standard offer on the AMEX Starwood personal card in the past. Just remember, AMEX only allows folks to earn the intro bonus once per person, per lifetime, on ALL their cards. So if you’ve earned any welcome bonus on this card before, you’re ineligible for this offer. With the AMEX Starwood small business card, you can earn 100,000 bonus points after making $5,000 in purchases within the first 3 months of account opening. This limited-time offer ends October 31, 2018. Like the personal version of the card, the $95 annual fee is waived the first year. Again, because of the Marriott – Starwood merger, the 100,000 point sign-up bonus is like earning ~33,333 Starwood points. Which is close to the highest welcome offer we’ve seen for this card. But the nice thing about the business version of the AMEX Starwood card is that getting it won’t hurt your chances of being approved for any Chase cards in the future. Because it won’t show up on your personal credit report! We’ll be back to give you a full in-depth review of both of these cards soon. So keep an eye out for those and other ideas about how to use the points you earn! And don’t forget, starting August 26, 2018, there will be stricter application rules across all Starwood and Marriott co-branded credit cards. So be sure to take those into consideration when deciding on which cards to get next!